Aside from being a considerable step up from its brother Powermax 45, The Hypertherm Powermax 65 is a highly versatile plasma cutter. Now, let’s read the honest Hypertherm Powermax 65 review! Its usefulness in almost every application marks it as a customer favorite and a leading product in its niche. 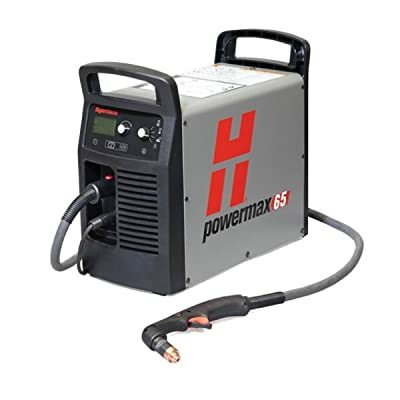 The Hypertherm Powermax 65 plasma cutter is extremely popular due to its sheer versatility. 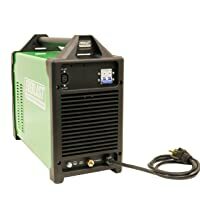 Unlike many other plasma cutters in the market, this unit offers up to four different torch styles. Switching from one torch style to the next is a straightforward process as well. With this plasma cutter, operators enjoy much more flexibility in their work and always use the right torch for the right job. Hypertherm has also perfected their automated gas pressure regulation technology known as Smart Sense. Smart Sense technology enables the cutter to automatically adjust gas pressure to match the length of the torch lead or to suit the cutting mode. This ensures optimal performance at all times. Another noteworthy feature is the Boost Conditioner. The Powermax 65 has an impressive recommended cut thickness. However, it can power through to 1” and has a generous severance cut thickness of 1.25”. Whether you’re a beginner or a pro, knowing your way around the controls of this cutter is easy thanks to its user-friendly control panel and large LCD display. You work will also suffer less from downtime because switching from one Fast Connect torch to the other is quick and simple. One thing that makes it suitable for both industrial and domestic applications is that it comes with four lead styles that support both mechanized and handheld operations. Above all, it is easy to use, powerful, and a well-built machine that is designed to be stable, reliable, and unstoppable. An issue for beginners and novices to take note of since it may hinder their productivity. Maximum Cut Thickness 1" 5/8" 5/8"
The Powermax 65 is best suited for commercial applications. 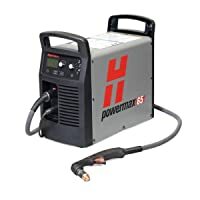 Fabrication stores, auto repair shops, industrial pipefitters, and plumbing companies are some places where this plasma cutter will be most productive. It is also ideal for industrial repairs, expansive farms or ranches, and as part of a robotic metal cutter in factories. Whether its power, delicacy, or effectiveness you need in your line of work, the Powermax 65 is the right tool for the job. Once you begin to experience the convenience of using different torches for different jobs, you’d love it. Since it packs more power than most cutters, the Powermax 65 is a lot more efficient when cutting through painted or rusty metal. For low-intensity tasks, such as completing an art project or doing a little DIY work in the garage, the Powermax 65 is overkill.